 We built the Hear Me Well app as a Commercial app. This SERVICE is provided by Marco Barattini, member of the StoneCutters Team, and is intended for use as is. This page is used to inform website visitors regarding our policies with the collection, use, and disclosure of Personal Information if anyone decided to use my Service. For a better experience, while using this Service, we might require you to provide us with certain personally identifiable information, including but not limited to microphone, camera, picture library. The information requested is retained on your device and is not collected by us in any way. We want to inform you that whenever you use our Service, in a case of an error in the app we collect data and information on your phone called Log Data. This Log Data may include information such as your device Internet Protocol (“IP”) address, device name, operating system version, the configuration of the app when utilizing my Service, the time and date of your use of the Service, and other statistics. Hear Me Well is not inteded at all to replace any medical or professional advice. Always ask your doctor for professional and medical advice. This application DOES NOT replace a professional hearing device. Hear Me Well © 2018 | All content and images are for use on this site only. Unauthorised use is prohibited.